The Rapido 4 grade 304 stainless steel water feature has been lovingly handmade by skilled craftsmen exclusively for Aqua Moda and is innovative in design; utilising small channels on each corner of the beautiful curved panel to ensure the flow of the water is uniform and does not taper as it cascades down the entire panel. This produces beautiful sweeping arcs of shimmering water that flows evenly down both sides of the feature; beguiling to look at and enjoy. 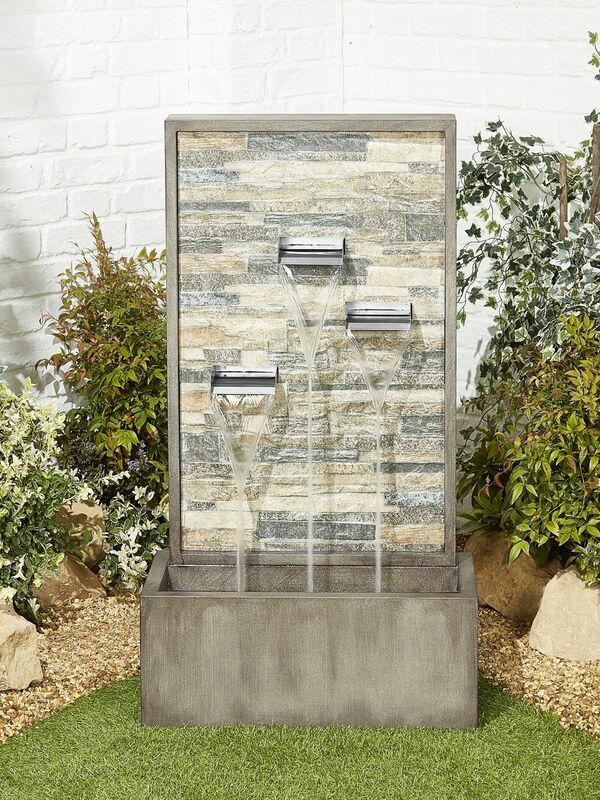 This feature sits in a high quality brushed stainless steel base with mesh, simply fill with water and enjoy. Base: 800mm (w) x 500mm (d) x 200mm (h). Base: 2ft 7.5ins (w) x 1ft 7ins (d) x 7.9ins (h). Brushed stainless steel base and mesh. "A stunning stainless steel water feature, purchased on behalf of a private client. Next day delivery, easy to set up, look stunning on and off."